Macnab, Maddy. "Hugh Burnett". The Canadian Encyclopedia, 01 February 2019, Historica Canada. https://www.thecanadianencyclopedia.ca/en/article/hugh-burnett. Accessed 20 April 2019. 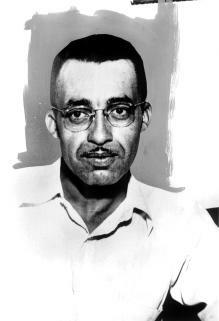 Hugh Burnett, civil rights activist, carpenter (born 14 July 1918 in Dresden, ON; died 29 September 1991 in London, ON). Burnett was a key figure in the fight for anti-discrimination legislation in Ontario. Through the 1940s and early 1950s, he organized tirelessly against racial discrimination in public service in his hometown of Dresden, Ontario, rising to prominence as a leader and organizer of the National Unity Association (NUA), a coalition of Black community members pushing for equal rights in Dresden and the surrounding area. He was instrumental to in bringing about legislative and legal victories for civil rights at the provincial level related to the 1954 Fair Accommodation Practices Act, an early anti-discrimination law in Ontario. Hugh Burnett was born on a farm outside of Dresden, Ontario, to Robert and Myrtle (née Carter). His parents descended from enslaved African Americans who had escaped to Canada in the mid-1800s (see Black Enslavement in Canada). Dresden was one of several end points for the Underground Railroad in southwestern Ontario. As refugees from enslavement and free African Americans arrived and settled there, a significant Black community took shape in and around Dresden (see also Josiah Henson). From a young age, Burnett was aware of the effects of anti-Black racism. One Sunday, when he was 16, Burnett stopped his truck to help a travelling motorist who had run out of gas. The man was so grateful that he insisted on taking Burnett for lunch. While he already knew that he could be refused service, Burnett thought he might be accepted in the company of this White stranger. He was still refused service, and the incident outraged him. Historian James Walker recalled: “At that time, he dedicated himself to doing something about this.” Burnett resolved to fight racism in his community. By the 1940s, the Black community in Dresden made up about 17 per cent of the local population. Though Black and White people attended school together and often lived near each other, racist attitudes and practices were reflected in some intense discrimination toward the Black community, leaving them with much less public access. Among other things, most business owners in Dresden refused service to Black people. In the 1940s, such anti-Black racial discrimination was not unique to Dresden. Systemic racism was a significant barrier for Black people, Indigenous peoples and other communities of colour across Canada (see Prejudice and Discrimination). What was unique about racial discrimination in Dresden was, as James Walker put it, “its absoluteness.” Walker explained that “not a single pool room would allow Black people… not a single restaurant, not a single barber shop where they could get their hair cut.” Except for the Catholic church, churches essentially barred Blacks. However, also unique in Dresden was the tenacity and leadership skills of Hugh Burnett in fighting racism and discrimination. An incident in 1943 strengthened Burnett’s commitment to challenging the situation in Dresden. At the time, 25-year-old Burnett was living in Windsor, Ontario, with his wife, Beatrice, and working for the Ford Motor Company. In Dresden to visit family, he went to a local restaurant wearing his army uniform. (Burnett had enlisted when the Second World War began and was later discharged for medical reasons.) To his dismay, the owner would not serve him. Burnett promptly wrote to the federal Minister of Justice, Louis St-Laurent, informing the minister that, by historian James Walker’s account, “even in uniform a Black man could not be served in any Dresden restaurant.” The Deputy Minister’s reply simply stated that there was no law against racial discrimination in Canada (see also Fred Christie Case). In 1948, Burnett moved back to Dresden with his wife and children to join his uncles, William, Percy and Bernard Carter, who were spearheading a group to address racism in in town. They called the group the National Unity Association (NUA). It was mostly made up of Black farmers and tradespeople from Dresden and the surrounding area. Burnett became the group’s secretary, key organizer and lead spokesperson. Once in Dresden, he also established a successful carpentry business. In 1948, the NUA lobbied the Dresden town council to pass a bylaw against discrimination in local businesses. After initially refusing, council agreed to put the idea to a referendum the following year. Historian James Walker suggests it was the “first and only time in Canadian history where racism has been put to a ballot.” Thanks to the efforts of Burnett and others, discrimination in Dresden began to get widespread media attention, including a high-profile exposé in Maclean’s magazine in 1949 entitled “Jim Crow Lives in Dresden.” While the heightened publicity was a success for the NUA, the referendum was not: townspeople voted five to one against an anti-discrimination bylaw. This was roughly the ratio of White to Black residents of Dresden. In 1950, Burnett and the NUA joined a coalition of human rights activists pushing for provincial anti-discrimination legislation. In 1951, as a result of their campaign, the government of Premier Leslie Frost enacted the Fair Employment Practices Act, which forbid discrimination in employment. As Burnett pointed out in a letter to Frost, however, this law did not address discriminatory practices in public service — a central issue in Dresden. By 1954, the NUA began working in earnest with the Toronto Joint Labour Committee for Human Rights to push for further anti-discrimination legislation in Ontario. In March 1954, Burnett was a lead speaker in a civil rights delegation to Premier Frost and his cabinet, making the case for a law against discrimination in public service. According to media reports, Frost was emotionally moved by Burnett’s testimony that day. Soon after, the Frost government introduced the Fair Accommodation Practices Act, which forbid discrimination in public service and housing on the basis of race, religion and other criteria. This was a victory for Burnett, the NUA and their allies. The Fair Accommodation Practices Act became law in June 1954. In Dresden, however, Burnett and the NUA quickly realized that many business owners were not going to comply with the new law. Two local restaurants were particularly notorious for continuing to refuse service: Kay’s Café, owned by Morley McKay, and Emerson’s Restaurant, owned by Matthew and Anne Emerson. Burnett and the NUA devised a tactic: they would go to these restaurants, take a seat and ask for service. When they were refused, they lodged formal complaints through the Fair Accommodations Practices Act. Historian James Walker notes that Burnett’s tactic resonates with the famous sit-ins of the American civil rights movement. In fact, Burnett’s 1954 sit-ins took place in Ontario more than five years before they were prominent in the United States. Thanks to tireless advocacy by Burnett, the NUA and its allies, the issue continued to get national publicity throughout 1954. Despite the formal complaints piling up, the provincial government did not, at first, lay charges against the Dresden restaurants. Under public scrutiny, Dresden business owners began simply closing shop when they saw NUA members coming. This made it difficult for the NUA to keep building its case.With the help of Sid Blum and the Toronto Joint Labour Committee, the NUA devised a new strategy: They began coordinating tests involving out-of-towners unfamiliar to Dresden business owners. A reporter from Toronto would accompany and document the tests, allowing the NUA to continue to gather evidence of discrimination, thereby keeping the issue in the media spotlight. One test case in late 1954, involving Bromley Armstrong (a Black trade unionist and human rights activist) and Ruth Lor (a Chinese Canadian University of Toronto student and secretary of the University of Toronto Student Christian Movement), resulted in high-profile media coverage and charges against Kay’s Café owner Morley McKay. McKay was ultimately found not guilty in this case. Burnett and the Toronto Joint Labour Committee did not give up. In November 1955, another test case proved more successful. Two Trinidadian University of Toronto students, Jake Alleyne and Percy Bruce, were refused service at Kay’s Café and they lodged complaints. In early 1956, McKay was once again charged. He was finally found guilty and forced to pay the required fines. On 16 November 1956, members of the NUA went to Kay’s Café. For the first time ever, they were served. 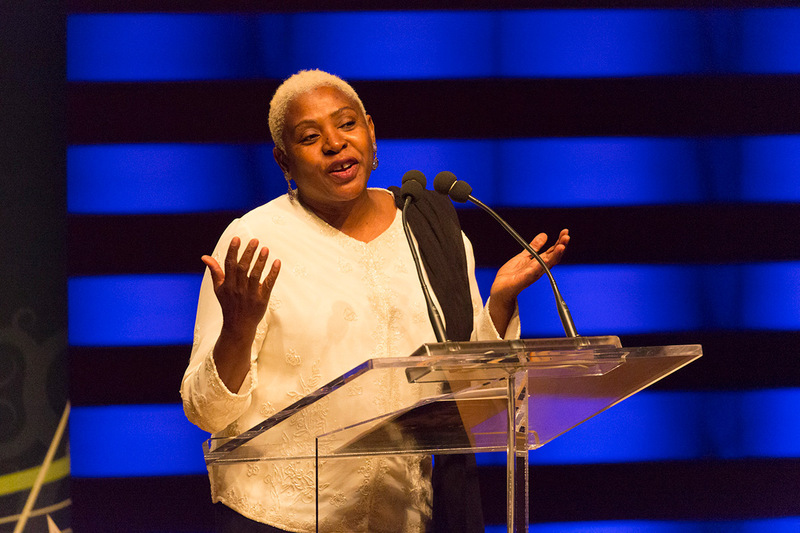 The court case against McKay was a significant victory for Burnett, the NUA and the rights and freedoms of Black communities in Dresden and across Ontario. After moving to London, Ontario, in 1956, Burnett kept a low profile, continuing his carpentry business and working for various companies. Though he never again came into the public eye as he had with “The Dresden Story,” according to those close to him, he continued to support anti-discrimination organizing in Ontario throughout his lifetime. He died in 1991 at age 73. In 2010, a plaque was erected in Dresden by the Ontario Heritage Trust, in honour of Hugh Burnett’s legacy. “To Serve”Kevin Philipupillai’s CBC documentary about the Dresden story aired 15 July 2013 on The Current. Ontario Heritage Trust“Hugh Burnett and the National Unity Association,” an essay by James Walker.